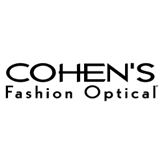 Cohen's Fashion Optical (New York) - Book Appointment Online! The best in town! She is very friendly and gave an accurate and honest diagnosis. Thank you!